You’re reading novel Chaotic Sword God Chapter 484: To War (One) online at LightNovelFree.com. Please use the follow button to get notification about the latest chapter next time when you visit LightNovelFree.com. Use F11 button to read novel in full-screen(PC only). Drop by anytime you want to read free – fast – latest novel. It’s great if you could leave a comment, share your opinion about the new chapters, new novel with others on the internet. We’ll do our best to bring you the finest, latest novel everyday. Enjoy! The captain surveyed the scene from above the city walls only to see that, ten kilometers away, a large group of people could be seen. Despite the distance, he could see that all of the soldiers were wearing silver white armor. “Where did they come from?” The captain asked. “We don’t know, it’s like they appeared out of thin air. Even now, even more people are joining them.” One of the other vice-captains spoke in terror. The captain hesitated from his spot on the walls for a brief moment as he watched even more soldiers join with the already large amount of soldiers. The perimeter they were in continued to expand without a misstep at all. There was an order to each and every one of them, so it could be seen that they were all extremely disciplined. By this point, plenty of people in Lore City had discovered this group of soldiers. It was not limited to only soldiers, but even the merchants and mercenaries who were entering and leaving the city had noticed their existence. Some of the more courageous mercenaries couldn’t help but feel curious and rode on a mount toward the area. The captain had a grim expression on his face as he stared at the mercenaries moving closer to the soldiers. He wanted to use them in order to determine whether these soldiers were friends or foe. If they were enemies, then these mercenaries would not be able to survive. As an added bonus, he wouldn’t need to expend any forces that could potentially die. Quickly, several hundred mercenaries got close to the Eastern Deity Swords from the Qinhuang Kingdom. When they drew closer, the soldiers immediately blocked their path so they wouldn’t be able to get any closer or be able to see just what was happening inside. The Qi and killing intent these soldiers were exuding was extremely potent and displayed their strengths on an incredible level. Their blood-thirsty aura alone was enough to show that they were a powerful army. The nature of the Eastern Deity Swords was intense, and their explosive auras was enough to cause the mercenaries to shrink back in defeat. “Who are you?” One of the more brave mercenaries asked, prompting several of the soldiers to glare at him icily. Turning pale, the mercenary took several involuntary steps away. With their eyes, he felt as if he had been staring at the eyes of a dangerous magical beast. With such pressure, he did not have the courage to continue talking to them. “Yes!” The soldier immediately ran off. Afterward, the captain led a group of five hundred soldiers away from Lore City to see the situation for himself. When the captain got within fifty meters of the concentration of soldiers, he dismounted from his magical beast mount and strode forward with his head held high. However, when he drew close to the soldiers, several icy glares concentrated on him and brought forth an indomitable amount of pressure. Blanching for a moment, the captain steeled his heart while hiding his shock. As an Earth Saint Master, he was somehow pressured by these soldiers, this was very surprising to him. “Sires, I am the head guard of Lore City, Tu Fu, where might your group come from?” The captain cupped his hands together in respect, but the soldiers only looked at him coldly without giving a response. Tu Fu displayed an embarra.s.sed look on his face, he had been intimidated by the awesome might these soldiers were exuding. In his heart, he didn’t feel any displeasure. He soon turned his eyes away to look for anyone within the crowd, but he was only able to see a third of the entire forces. Even then, he wasn’t able to find anyone of importance. Without the ability to fly, he wouldn’t be able to differentiate anyone from the crowd. Plus, with the people constantly moving about, any newcomer wouldn’t even be noticed as they expanded. “Just who are these people and where are they coming from? Could it be there is some sort of secret pa.s.sage?” The captain inferred to himself. However, when he felt that no hostility could be felt from the soldiers, they most likely weren’t enemies. Otherwise, these soldiers would have charged straight for the city and razed it at once. At that moment, the captain suddenly saw the soldiers start to make a three meter path for a few men to walk through the crowd of soldiers. At this point, the captain’s face had straightened. He had to guess that these men were the leaders of these soldiers and immediately grew serious. The two youths walking in front looked to be around twenty years old with auras that were by no means ordinary. When the captain saw Jian Chen, his heart skipped a beat and immediately went to salute him, “Tu Fu pays his respect to the fourth master!” Although very few men knew what Jian Chen looked like, Tu Fu was one of the few that did. So when his eyes landed upon Jian Chen, he immediately went to salute him. “This officer will do as instructed!” Tu Fu cupped his hands before giving an order to the people behind him. With Jian Chen’s status as an Imperial Protector of the Gesun Kingdom, he had full authority to command the commanding officer of Lore City. “Let us head into the city.” Jian Chen spoke to the people behind him before bringing Qin Ji into the air and headed toward Lore City. Right behind him, the five Imperial Advisors and three generals immediately surrounded themselves with the elements of the world and flew up into the air after Jian Chen. Seeing Jian Chen and the others fly into the sky, it took Tu Fu a long period of time to regain his wits. Letting out a long breath of air to quench the surprise in his heart, he muttered to himself in a daze, “The fourth master of the Changyang clan is amazing. 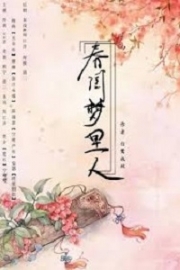 I have no idea just how he was able to bring so many Heaven Saint Masters over.” As Jian Chen disappeared into the sky, Tu Fu had a look of admiration on his face. Jian Chen and the group’s flight was quick. Not too long later, they arrived in the sky above the Changyang clan where a large group of people could be seen staring slack-jawed as the group descended. As soon as they descended, five incredibly strong sources of Qi could be felt shooting toward them. Chang Wuji, Cao Keqin, Dongyi Junbai, Tian Luo, and Qing Shaofan came flying past with their presences radiating into the sky. The arrival of several Heaven Saint Masters had startled them and they had thought that the Heavenly Eagle Kingdom had come by once more. Thus, they radiated a strong amount of presence in hopes of intimidating the other party. However, when they saw the men in front of them was Jian Chen, they let loose a joyful expression and instantly cut down their spike in Qi. “Imperial Protector!” Qing Shaofan and the others cried out as Jian Chen arrived with their hands cupped together. Chang Wuji stood by the side with a surprised expression at the people by Jian Chen’s side. His heart had been sent in a flux, but was quickly turning into a gratified smile. “I had no idea that in the few days that the fourth master was gone, he would bring back eight Heaven Saint Masters.” Chang Wuji thought to himself happily. With the fourth master having such capabilities, Chang Wuji could already see him leading the Changyang clan into a future with meteoric success. “What has happened in the two days I was gone? Has there been any news from the Heavenly Eagle Kingdom?” Jian Chen asked calmly. “Everything has been the same. We aren’t sure what is happening within the Heavenly Eagle Kingdom, but no individual has come over to start any trouble yet. All of the Heaven Saint Masters are now aware that his Majesty had nearly been kidnapped, and now the strongest three have gathered within the palace. Combined with the original individual there, the imperial palace has four Heaven Saint Masters there. Xiao Tian is there as well to make five. So only Lore City was in need of strength, so I returned to safeguard the place,” Qing Shaofan spoke. Daring not to be negligent, Chang Wuji addressed each one of them with several words of greeting. Then, Chang Wuji began to invite every single one of them into a nearby inn with excitement. When Changyang Ba gained wind of the news, he knew that this was an undeniably tremendous event for the Changyang clan and the Gesun Kingdom. He couldn’t afford to do nothing, so he immediately called out for the inn to prepare the most luxurious, grandest feast to receive the newcomers. Since these newcomers were the Imperial Advisors, generals, and prince of the Qinhuang Kingdom, their statuses made many of the elders in the Changyang clan feel weak in the knees. Thus, the amount of people qualified to join in on this banquet had not been many. Aside from Chang Wuji, only Jian Chen and his immediate family had been able to join. Since princess You Yue was Jian Chen’s future bride, she had been given a seat. Ming Dong and Dugu Feng both had unique statuses as well and were given spots as well. The ten Imperial Advisors, three generals, and the prince shared the same table as Changyang Ba, Bi Yuntian, Chang Wuji and several others. Because the Imperial Advisors had been forewarned of the relations.h.i.+p between the Imperial Protector and Changyang Ba, the five Imperial Advisors and generals were extremely courteous to the father and mother of Jian Chen. At another table, Jian Chen, Ming Dong, Dugu Feng, You Yue, Qin Ji and several others were chatting among each other. The majority of them knew each other from the Gathering of Mercenaries, so they were well acquainted with one another and happy to meet once more. Just as everyone was chatting to each other over some wine, both the city lord and the Changyang clan gained a report of the sudden appearance of an army just outside Lore City. The report was given to the elders of the Changyang clan first, but they already knew of the finer details and couldn’t help but smile without a care in the world. However, the city lord was not as calm as the elders were. Throwing down the report, he brought several divisions of his army to rush on out. As the city lord stood on top of the walls of Lore City, the amount of soldiers ten kilometers away had already swelled to 20,000. Several groups began to hoist their banners into the air, where the large character for “Qin” could be seen. You're reading novel Chaotic Sword God Chapter 484: To War (One) online at LightNovelFree.com. You can use the follow function to bookmark your favorite novel ( Only for registered users ). If you find any errors ( broken links, can't load photos, etc.. ), Please let us know so we can fix it as soon as possible. And when you start a conversation or debate about a certain topic with other people, please do not offend them just because you don't like their opinions. You're reading Chaotic Sword God Chapter 484: To War (One). This novel has been translated by Updating. Author: Xin Xing Xiao Yao already has 11692 views. Current Time is Apr-21-2019 08:19:56 AM.